Parents that are concerned about the surge in school districts in America which lease-out rooftops directly above their children’s heads for the placement of high power microwave transmitters — have something new to worry about according to the Wall Street Journal. Turns out that there is somewhere around 30,000 non-compliant cell phone towers in the USA that expose unsuspecting residents, school children and even their maintenance workers to dangerous levels of microwave radiation. On Oct. 2, 2014. Ianthe Jeanne Dugan and Ryan Knutson did a story for the WSJ, Cellphone Boom Spurs Antenna-Safety Worries. They found of the more than 300,000 cell phone tower locations—rooftops, parks, stadiums and schools—(which is nearly double the number from 10 years ago), that “One in 10 sites violates the rules“. This is according to six engineers who examined more than 5,000 sites during safety audits for carriers and local municipalities, underscoring a major safety lapse in the wireless tower network that transmits microwave radiation to your cell phone. At a time when the health effects of cell phone radiation are being debated world-wide, the WSJ uncovers that cell tower carriers are not being held accountable for the health risk caused by unsafe cell phone tower installation. The FCC has issued just two citations for safety violations since adopting the rules in 1996. The FCC says it lacks resources to monitor each antenna. “It’s like having a speed limit and no police,” said Marvin Wessel, an engineer who has audited more than 3,000 sites and found one in 10 out of compliance. The engineer went as far as showing the journalist first hand how commonplace it is to find cell phone towers putting nearby residents at risk from wireless radiation. Mr. Wessel strolled through a residential area near Echo Canyon Park and spotted lawn chairs near a T-Mobile cell phone antenna painted brown to match a fence. His radiation meter showed emissions were well above radio frequency radiation safety limits. After being alerted by The Wall Street Journal, T-Mobile added warning signs and roped off a patch in front of the antenna with a chain. “The safety of the public, our customers and our employees is a responsibility that all of us here at T-Mobile take very seriously,” said a T-Mobile spokeswoman. At high levels, microwave-frequency radiation can cook human tissue, the FCC said, potentially causing cataracts and temporary sterility and other health issues. The National Institute for Occupational Safety and Health began studying that question after the World Health Organization in 2011 categorized RF radiation as a possible carcinogen, based on research by over 30 scientists, said Gregory Lotz, the top RF expert for Niosh. And the National Toxicology Program at the National Institutes of Health is exploring lower-level RF exposure. An FCC guideline written after the rules were adopted notes studies showing “relatively low levels” of RF radiation can cause “certain changes in the immune system, neurological effects, behavioral effects,” and other health issues, including cancer. What are the chances that one of these unsafe cell phone towers is exposing your children to hazardous levels of radiation? More probable than you think according to Dallas Independent School District. The Dallas ISD currently has 17 leases with cellular communication companies who pay to use the property. Fifteen of those antennas are currently on campuses where school children spend much of their day. Some of the school campuses already exposing the children to cell tower radiation include Lincoln High School (just outside the building), and the football field light tower at Hillcrest High School. W.T. 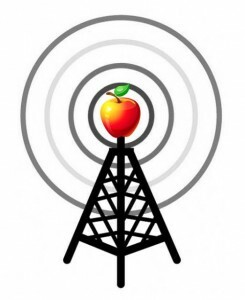 White High School will also be getting an antennae in the near future. The contracts bring in revenue for DISD — nearly $400,000 per year. But is it worth risking the health of our children knowing 1 in 10 aren’t even in compliance with safety guidelines? Parents at one Dallas ISD elementary school don’t think so, and squashed a plan to put a cell phone tower on top of a school building. Approximately 50 moms and dads attended, listening to a presentation from a Verizon representative. Verizon proposed camouflaging the cell phone equipment on the school, installing it on the outside of a smoke stack and then wrapping the smoke stack in a faux brick façade. But most of the objections had nothing to do with looks. Graves was one of several parents in attendance who voiced objection. In the end, the DISD representative in attendance — the district’s property manager — asked for a vote. When nearly everyone raised a hand in opposition, the Verizon and DISD representative said it was over. For the safety of your children, RF Safe pleads that all parents do the same whenever a cell phone tower is being placed on your child’s school grounds!